With all this hot weather, I’d say the more time we can spend diving into the water, the better. And there’s not a better diver in our waters than Madelyn “Dolly” Payne, who recently received the prestigious Lee Brennan Memorial Scholarship. The honor is named after Brennan, an athletic star and academic high achiever whose life was cut short in an auto accident. 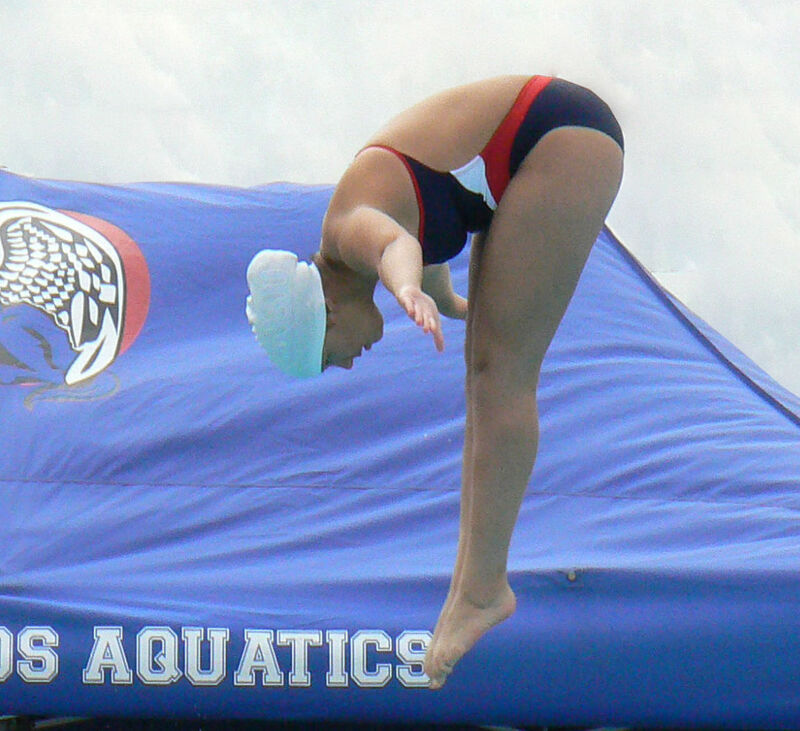 Payne earned the scholarship as an active participant with a U.S. Southern Pacific Association Diving Team. It was based on her ability to maintain excellent grades (she is a 2015 Los Alamitos High School valedictorian) while also competing as a top varsity athlete in both diving and tennis. In addition to the academic and athletic requirements, a 600-word essay and two letters of recommendation were required to seal the deal. Payne learned to swim when she was less than a year old, and she continued to take swimming lessons while her brother was diving. Since she was so young, she was put into the Tiny Tots program. Even though she had the skill level, she was too young for the Long Beach Parks and Recreation Dept. Advanced Beginner Class. Being relegated to Tiny Tots, she pretended she couldn’t swim. It only took the staff a couple of lessons to realize she was playing them and that she was already an accomplished swimmer. As a 3- and 4-year-old, Payne spent time at Belmont Plaza Pool while her brother Adam was diving with McCormick Divers. She would sit by Coach Debby McCormick, who called her by the nickname Dolly. That name stuck and today, she is known as Dolly in international diving circles. Just before she turned 5, her family moved to Sydney, Australia, where she was able to enroll in an Advanced Beginners class while her brother trained with Australian Olympic diving coach Chava Sobrino. Within a few months, she too started diving. As the youngest diver on the team, she quickly became a trailblazer, diving against competitors as old as 15. Payne will be using the $3,000 Lee Brennan Memorial Scholarship at Massachusetts Institute of Technology, where she will be a member of the diving team. I wish her the best and know she will continue to blaze trails as she represents McCormick Diving and the Aquatic Capital of America in her future endeavors.